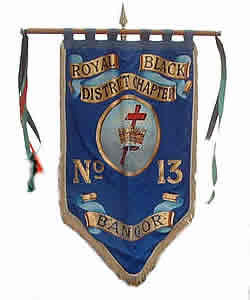 This is the first Bannerette used by the District Chapter from 1956 until being replaced in 1975. 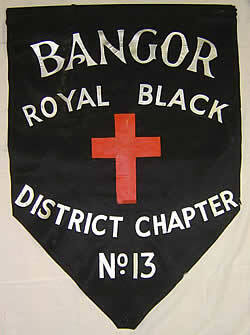 It was recovered from a cupboard in Bangor Orange Hall in 2003. 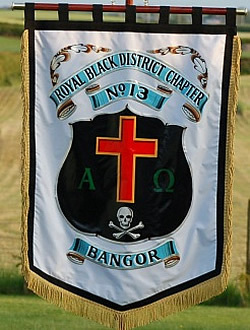 This Bannerette which was presented to the District Chapter on 30th August 1975 by Sir Knight David Bryans PDM was replaced in August 2006.